This custom 20" x 32" mural is made with various ceramic pieces from our Ocean Dog Collection such as 6" Flat Sea Turtles, 2" Baby Sea Turtles, 3" Extra Small Starfish, a 3" Seahorse, a 3" Small Crab, and more. 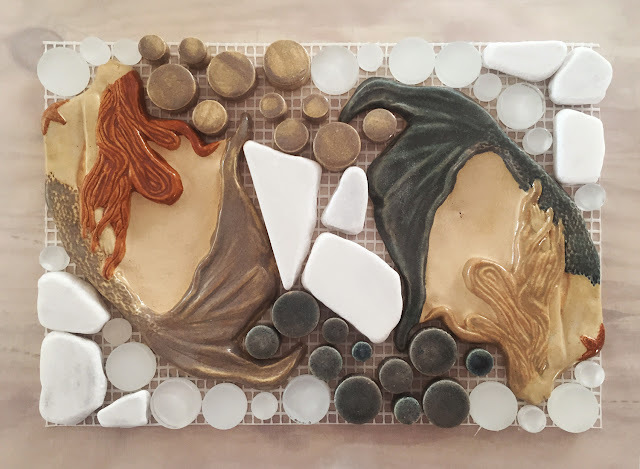 This order, a bit smaller, uses two 7" Mermaids, as well as stone, glass rounds, and ceramic drops. 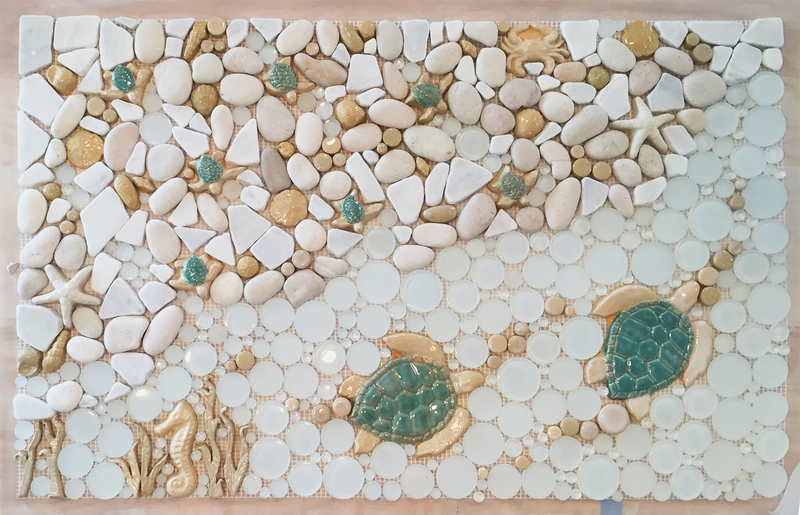 It is 6.5" x 9.25" but once grouted it will make quite the impression! It was quite hard to fit this border into one photo! 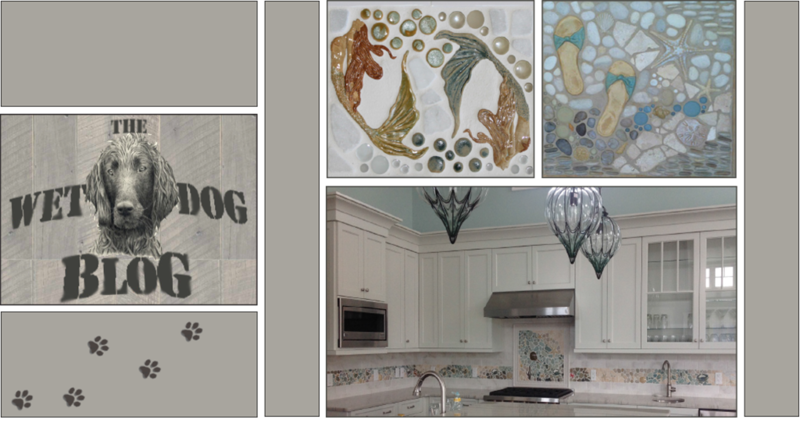 This fish border is 4" x 48" and is made with glass, various stone, ceramic drops, and 3" ceramic fish swimming throughout! Last but not least, this 24"x38" custom mural. We have bad lighting in the studio so bear with us! 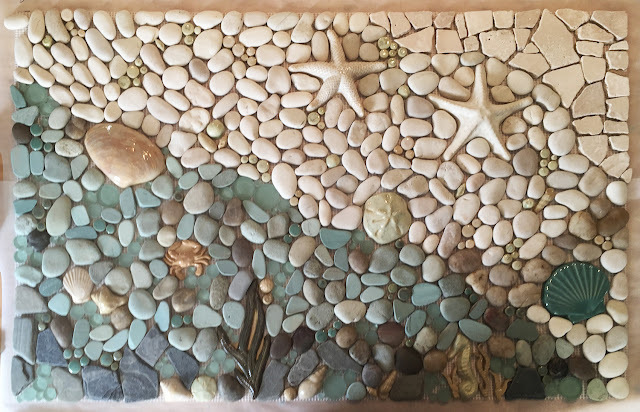 This mural was made using friends from the Ocean Dog Collection such as 7" Large Starfish, 6" Medium Starfish, 7" Eel Grass, a 3" Small Crab, a 5" Quahog Shell, a 4" Scallop Shell, and more!